Amid growing doubts about North Korea's commitment to denuclearization, the State Deparment said Tuesday it's monitoring the situation, but with Secretary Mike Pompeo heading to Pyongyang Thursday, "We're in a good spot." The confidence comes amid reports that U.S. intelligence has assessed that North Korea does not want to give up its nuclear weapons and is actively working to hide them, newly released satellite images that show North Korea expanding a key missile-manufacturing plant, and new questions about why the regime has not returned the remains of American soldiers from the Korean War, even after President Donald Trump initially said they had. State Department spokesperson Heather Nauert declined to comment on intelligence reports, but told reporters Tuesday, "We're all keeping a close eye – the U.S. government – keeping a close eye on North Korea, and the secretary has been very clear and very blunt with the North Koreans about what he expects." 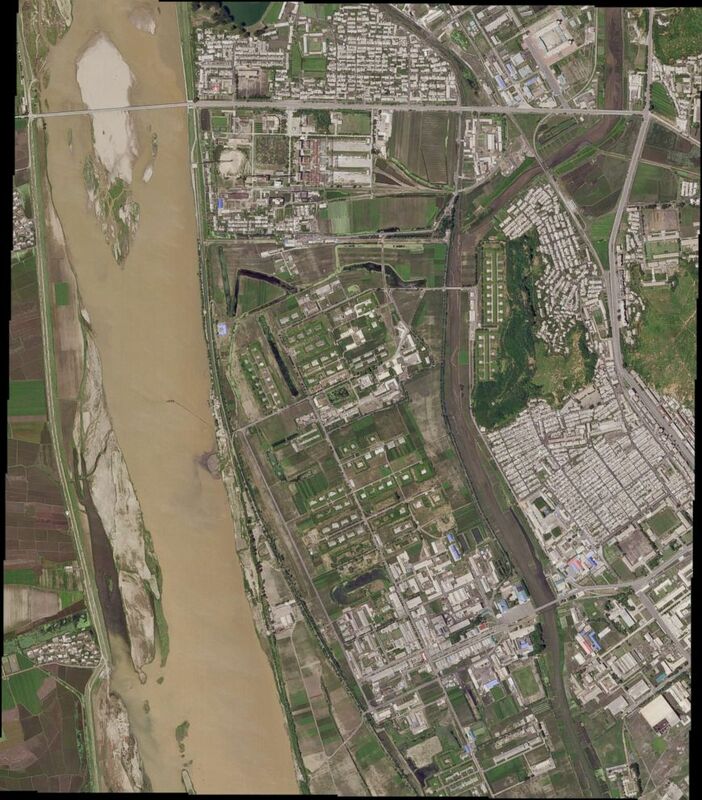 New satellite imagery dated June 29, 2018 reportedly shows that North Korea was finishing construction on a major expansion of a missile-manufacturing plant around the same time that President Trump met North Korean leader Kim Jong Un in Singapore. Trump tweeted Tuesday if it were not for him, "we would now be at War with North Korea!" What he meant, Nauert said, was that compared to one year ago, when North Korea launched its first intercontinental ballistic missile, "We're in a good spot today." North Korea still maintains those missiles and its entire nuclear arsenal, though -- and while the president praised Kim Jong Un for "no Rocket Launches or Nuclear Testing in 8 months," North Korea said on New Year's Day it didn't need to because it had "perfected" its nuclear missile capability. Nauert said that Pompeo "is looking forward to having meetings with his North Korean counterparts" - his fourth with North Koreans and his third trip to Pyongyang. She declined to get into the details, including what specifically Pompeo hopes to address or whether he will lay down any markers for North Korea to meet, other than to say it will be a day and a half of meetings. But two days after National Security Adviser John Bolton gave a one-year timeline for dismantling North Korea's nuclear program, Nauert brushed that aside, saying, "I know some individuals have given timelines. We're not going to provide a timeline for that... A lot of work is left to be done certainly. We go into this eyes wide open with a very clear view of these conversations." Bolton is not going on the trip, she confirmed. Pompeo's visit comes days after the first in-person meeting between the U.S. and North Korea over the weekend. An American team, led by U.S. Ambassador to the Philippines Sung Kim – the former Special Representative for North Korea Policy – met with their North Korean counterparts on Sunday in Panmunjom in the Demilitarized Zone between the Koreas. Kim also led the U.S. team hammering out the joint declaration that Trump and Kim Jong Un signed in Singapore, and it's expected his team is working now to negotiate how it is implemented. The North Koreans should know what to expect in these meetings, Nauert added: "We've had very clear conversations with them. There will be no surprises in terms of what we are asking them to do." One of the four pillars of that Trump-Kim joint declaration has also stalled – the return of Americans' remains who were Missing In Action or Prisoners of War during the Korean War. The Pentagon has said it is a diplomatic issue, with casket-like carrying cases waiting at the DMZ for an agreement between North Korean and U.S. delegations. But Nauert dismissed that, too, referring questions to the Department of Defense: "The Pentagon has a robust department that deals specifically with these issues each and every day in difficult parts of the world." 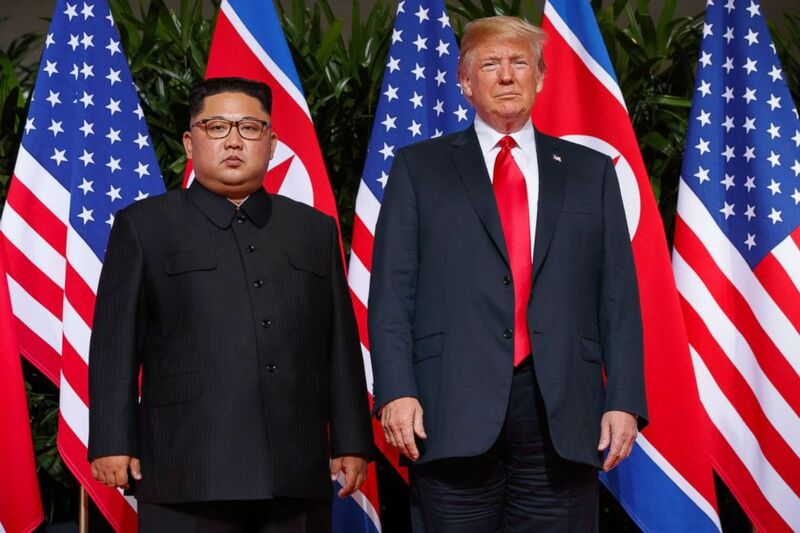 It's still unclear what the hold-up is, nearly two weeks after President Trump told a rally in Minnesota that North Korea already sent back 200 fallen heroes' remains. "We got back our great fallen heroes, the remains sent back today, already 200 got sent back," Trump said in Duluth, Minnesota, on June 20. At the time, two U.S. officials said the administration was expecting North Korea to return up to 200 sets of remains believed to be U.S. servicemembers who died during the Korean War. But there has been no update since then.